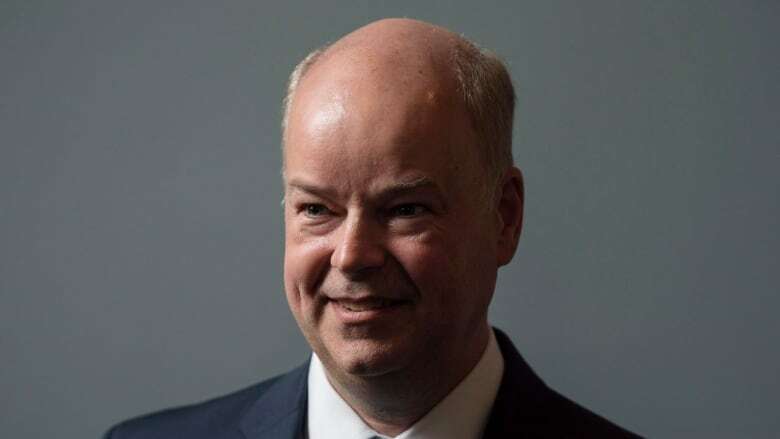 Jamie Baillie has been forced out as leader of Nova Scotia's Progressive Conservative Party following an investigation into "allegations of inappropriate behaviour." The party said it requested and accepted Baillie's resignation Wednesday morning, following an independent, third-party investigation arranged by the PC Party after it learned of the allegations. That investigation concluded Baillie had breached the Nova Scotia House of Assembly policy on the prevention and resolution of harassment in the workplace, according to the party. At a news conference Wednesday afternoon, party president Tara Miller and caucus chair Karla MacFarlane would not provide details about the allegations, but indicated sexual harassment was one of the claims. Sources told CBC News the allegations involve a female staffer in the caucus office. MacFarlane, who is the MLA for Pictou West, will become interim leader of the province's PCs. She said the party became aware of the allegations — which involve one complainant — late in December and took immediate action, bringing in an "experienced" investigator. She would not identify the investigator. Miller said the party received the report on Tuesday night and made the decision to request Baillie's resignation. That decision was supported unanimously by the caucus, she said. Neither Miller nor MacFarlane would say whether the allegations have been forwarded to police, but a Halifax Regional Police spokesperson said the force has not received a report. "I am protecting the individual," MacFarlane said when asked by reporters why she couldn't comment on whether police had been informed. "It's a delicate, delicate issue and it's been a difficult process and we're respecting those involved at their request." MacFarlane said she felt disappointed and sad about the revelations. "It's a lot to digest. But as we all know, no one is above the law." Baillie wrote on Twitter that he resigned Wednesday morning as party leader, citing "personal reasons." He also resigned as MLA for Cumberland South. "My priority is my family and I ask that our privacy be respected," Baillie wrote. "It has been an honour and privilege to lead the PC Party for the past seven years, and to represent the people of Cumberland South. "I thank them both for the opportunity to serve." Baillie had announced last fall that he would be leaving politics after leading the PC Party since 2010, but said at the time he would remain the head of the party until a new leader was chosen. No date has yet been set for the PC leadership convention, but MacFarlane said Wednesday more information about that will be released in the coming weeks. Kings North MLA John Lohr and Pictou East MLA Tim Houston are the only two candidates currently seeking the Nova Scotia Progressive Conservative leadership. Baillie, a chartered accountant, became PC leader in 2010 and led the party through two elections. The party won 17 seats in the 2017 provincial election, an increase of seven, and formed the Official Opposition. Despite the advances, Baillie soon started talking about stepping down as leader. He said he had hoped to at least reduce the Liberals to a minority government in the last election, but they retained their majority. Rob Batherson, the former president of the Nova Scotia Progressive Conservative Party who has known Baillie for years, said he found out about the allegations Wednesday afternoon. Batherson ran with Baillie in the last provincial election for the Halifax Citadel-Sable Island riding. "It's shocking, it's not the Jamie that we know or knew," Batherson said. "It's difficult to square the finding of sexual harassment with the person that I know, knew [and] worked with." Batherson said he attended the news conference to support Miller. "During the MLA expense scandal in 2010, I thought you couldn't have a darker day for a party president and obviously this is a tough day for Tara and the party," he said.